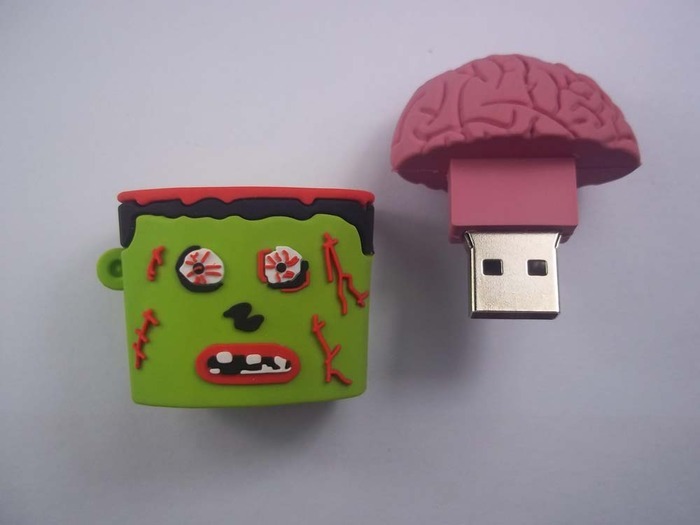 Sponsor at the $25 level and receive, among other things, a zombified USB drive—pull the brain out of the zombie's head to use it. As I recall, usually it's the zombie who's pulling out the brains, but I still like the idea. The author, Joshua Warren, says he is already working on a similar project involving ninjas.